Although numerous methods inundate the anti-snoring market, SnorBan is the simplest, cheapest and most effective method that has been proven to work! We are so proud and sure of this product that we offer a money-back guarantee, and we are sure of this product because it’s based on such simple principles. SnorBan® is an oral mandibular advancement device which has been medically proven as one of the most effective and successful ways to cure snoring (follow this link to view the medical research). SnorBan is a mouthpiece designed to hold your lower jaw forward which opens the airway to the throat. You can then breathe without snoring. To understand how it works try this. Push your lower jaw slightly forward and you will find you open the passage to the airway and you do not snore. 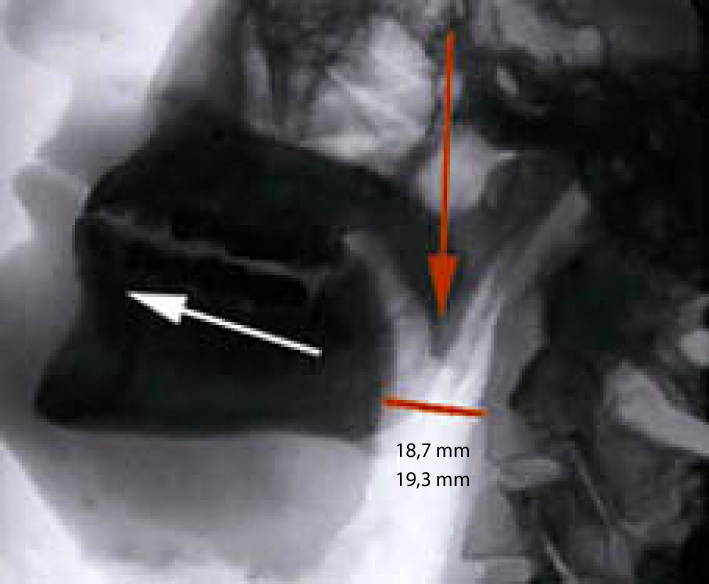 Image showing lower jaw in normal position. The space for air passage is marked with a red line. 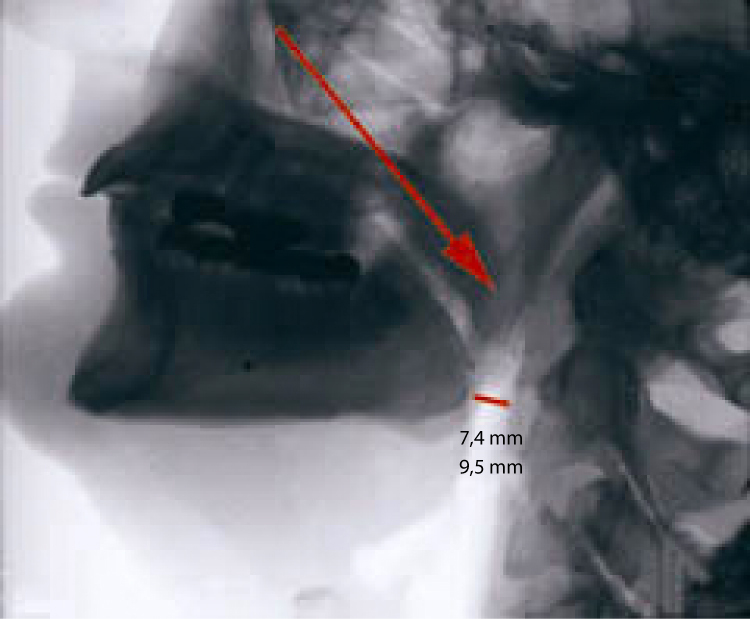 Image X-ray showing lower jaw in forward position by using the SnorBan® Mounthpiece. Notice that using the SnorBan® mouthpiece increases the passage to air flow, resulting in a lower pressure and thus alleviating snoring. Use of the SnorBan® mouthpiece improves oxygenation to the body and helps to alleviate daytime fatigue.